Have you ever had a dish that you've made and told yourself, "I'm just going to have one bite," and then the next thing you know you are licking the plate and your dish has disappeared???? That happened to me when I made my very first stuffed french toast! I made the fruit compote the day before and decided to just "try" the recipe out to it's entirety before serving it in the morning and boom! Gone. I blinked and the entire dish was gone. I must have blacked out and eaten this french toast because all I remember telling myself was that I was "just going to have one bite." Whoops! The Strawberry-Rhubarb compote is so good alone, you could just use it for toast, english muffins, pancakes, etc. But spread it between two slices of french toast and top with powdered sugar and vanilla yogurt....it becomes the best french toast ever! To go along with our mouth-watering breakfast of stuffed french toast perfection, did I forget to mention it's BERRY WEEK with the Theme Weavers!!!! I've joined together again with my very favorite ladies in the blogsphere to bring you everything BERRIES! What a perfect theme with all the fresh produce and berries at the Farmers' Market. Fantastic, right?!?!? Such a great collection of berry recipes to pick from! In a medium saucepan combine the strawberries, rhubarb, sugar, orange zest and vanilla extract. Cook over medium-high heat for 15-20 minutes until the mixture becomes broken down and thickened, stirring occasionally. Remove the pan from heat and set aside. Heat a griddle over medium heat and grease with tablespoon of butter. In a large shallow dish such as a pie plate, whisk to combine the eggs, milk, vanilla extract and ground cinnamon. Dip the bread slices in the egg mixture and turn to coat on both sides. Add the eggy bread mixtures to the griddle and cook 1-2 minutes per side. Once all 8 slices have been cook, transfer to plate. 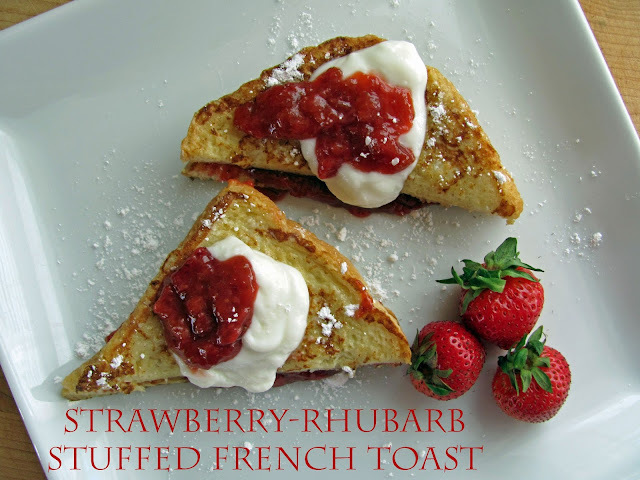 Spread 1 tablespoon of Strawberry-Rhubarb Spread onto 4 slices of french toast. Top with remaining 4 french toasts and cut in half on the diagonal. Serve with a tablespoon dollop of vanilla yogurt and excess fruit spread. Sprinkle stuffed french toast with powdered sugar. ENJOY! Um, do you deliver? I really want a stack of these for lunch!!! Yes, this happens to me all the time - the food just disappears! 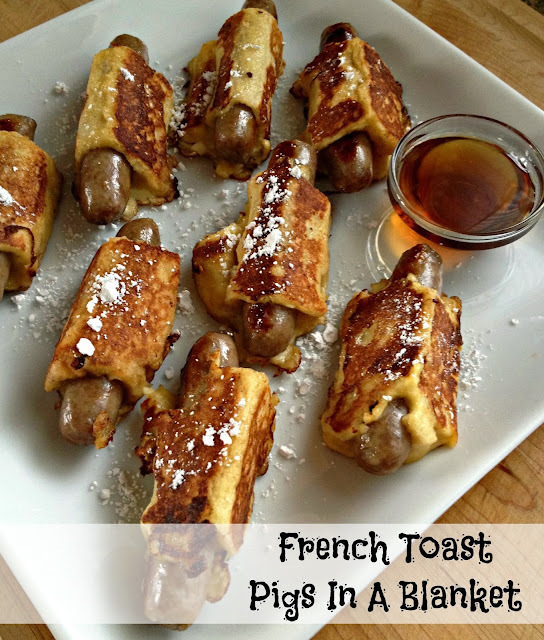 I'm not at all surprised with this stuffed french toast - simply gorgeous! So beautiful, what an inspired way to start the day!! So I've never had rhubarb.. it's one of those foods that I see all the time in recipes looking delicious, but have not brought myself to try. yum!! My whole family loves french toast and all varieties of it. This looks amazing. I haven't had french toast in ages! I will have to change this soon and try out some strawberry rhubarb compote with it. Yummy! I swoon when I eat strawberry-rhubarb anything! And to stuff it into French toast, well, that's just genius! 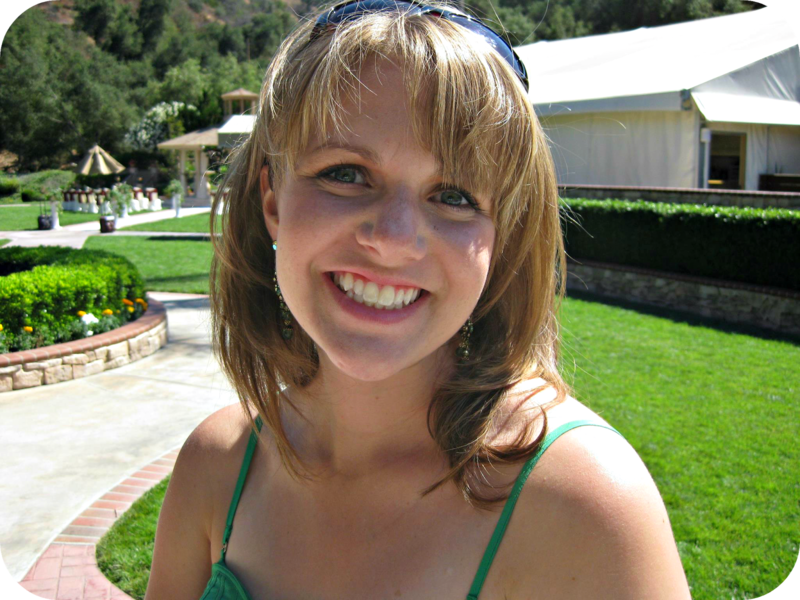 I found your comment on my blog and wanted to say hi! Also, I added your blog to the list on my own blog. I hope a lot of people find you! Oh my goodness, this looks so mouthwatering! It would definitely get me out of bed easier in the morning! Thanks for sharing.